When you first arrive in Bangkok, chances are you will find the sprawling mega-city to be quite intimidating. And when it comes to the food, delicious smells will tempt you everywhere, and the options will be numerous. So, how do you know where to have authentic food experiences in Bangkok? This was our exact dilemma when we arrived in Bangkok for the first time. 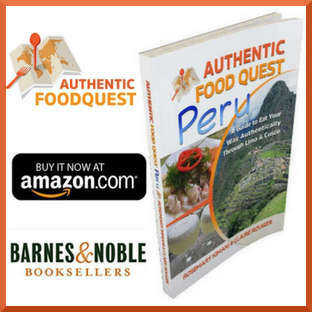 At Authentic Food Quest, our mission is to inspire you to travel through authentic food. 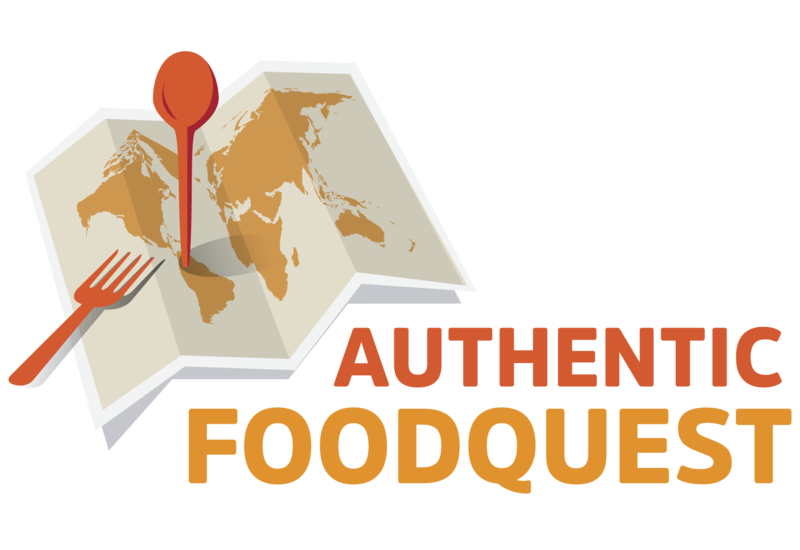 We aim to discover and showcase the local specialties and invite you to travel through food. Bangkok took us by surprise. We found the Bangkok food scene to be quite overwhelming at first. After spending one month in the city navigating the food scene, we have put together 10 tips to help you eat amazing authentic food in Bangkok. This guide is perfect for first-time visitors to Bangkok, or those looking to branch out and eat like a local. # 7 How Spicy Is The Food? There is no shortage of places to eat in Bangkok. 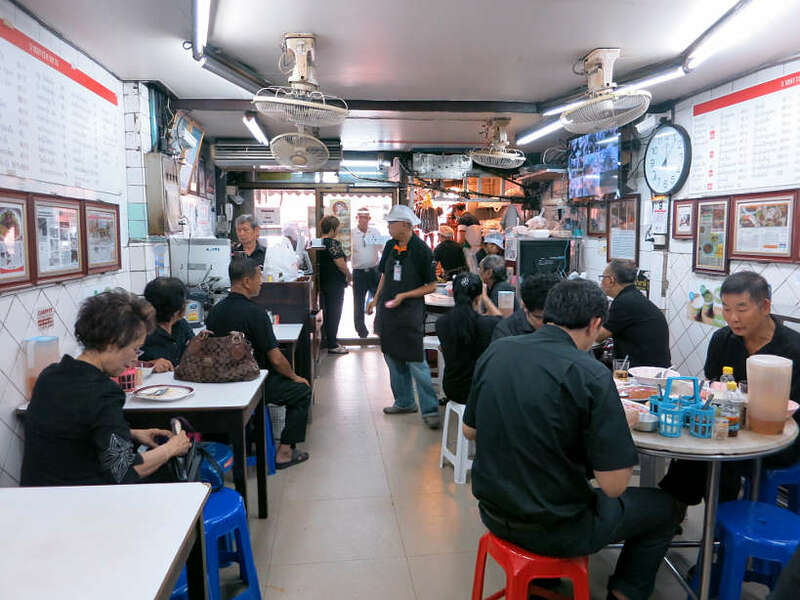 This section highlights the four main types of eateries you will find in Bangkok for local and authentic experiences. At the end of each subsection, we note our favorite places and where to find them. Bangkok is known to be the best city for street food in the world. And rightly so! The typical street vendors have mobile food carts with their ingredients and cooking utensils. Wherever there are people, there is street food! Which means that there is street food practically everywhere you look! With such overwhelming offers, it is not that easy to make a good choice. And while most of the street food is good, it is best to pick wisely. First, you should know that the best street food vendors specialize in one dish. The best part is that you see them prepare it in front of you. If you are not sure about which street vendor to choose from, start by observing. How are they preparing the food? Are there a lot of locals stopping by to order or eat there? If family and elderly are stopping, that’s even better! What are the cooking conditions? Is it looking clean and organized? Are they using a lot of oil or not? Want more tips? Check our article on how to eat street food safely. Once you’ve made your choice, time to move on to the eating experience! 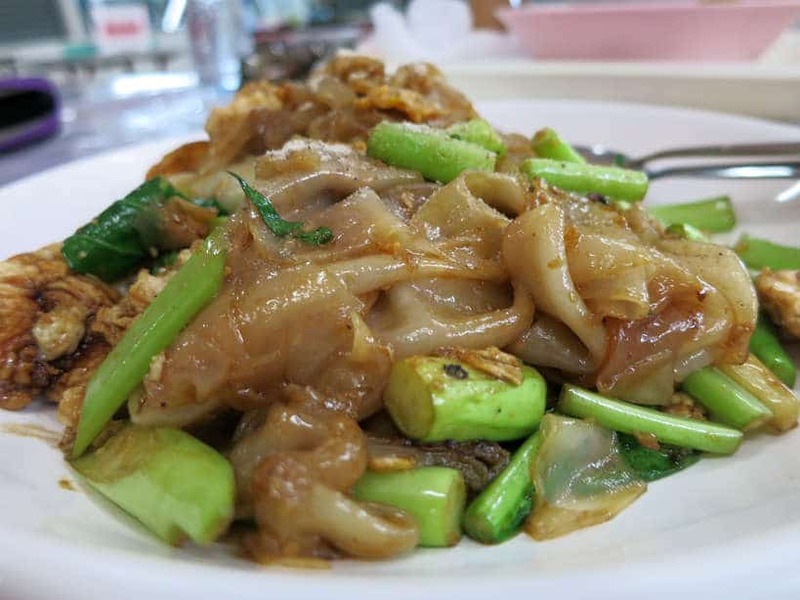 For an extensive list of the places to get fabulous Bangkok street food, check out Mark Wiens article on Bangkok street food sanctuaries. Mark has been living in Bangkok for several years and he is an expert on the Bangkok food scene. 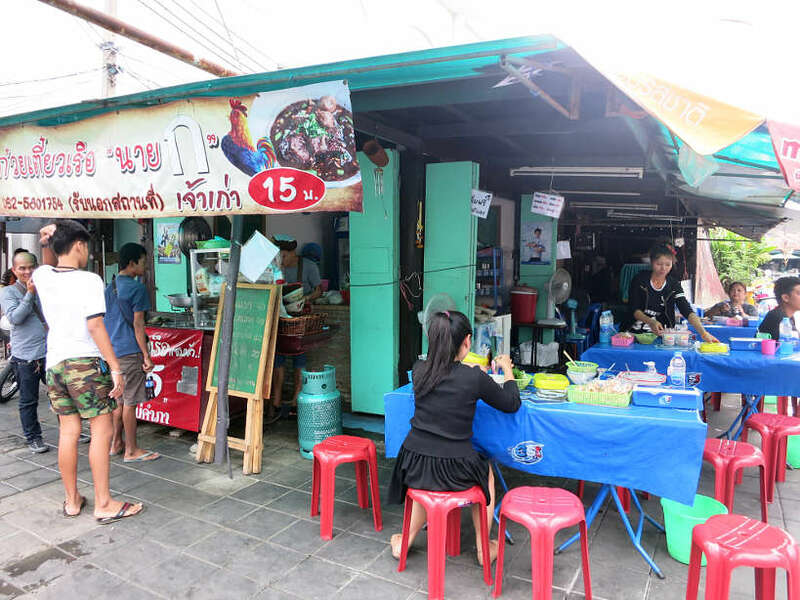 Keep in mind that in the recent months, Bangkok has been cleaning up street food vendors and many popular locations are disappearing. One of our favorite spots for street food in Bangkok is on Rama IV road in Sathorn between Lumpini and Khlong Toei Station. It is not one of the most famous places for street food, but it is very local and authentic. One of the best parts is that the prices are local and not geared toward tourists. For example, the popular mango sticky rice dessert costs about 40 Baht, versus the 100 Baht you will pay in Chinatown. Rama IV road, Sathorn, Bangkok between Lumphini Park and Klong Toei MRT Station. Find one of the best curry street food vendors. Find the old smiley lady selling mango sticky rice. 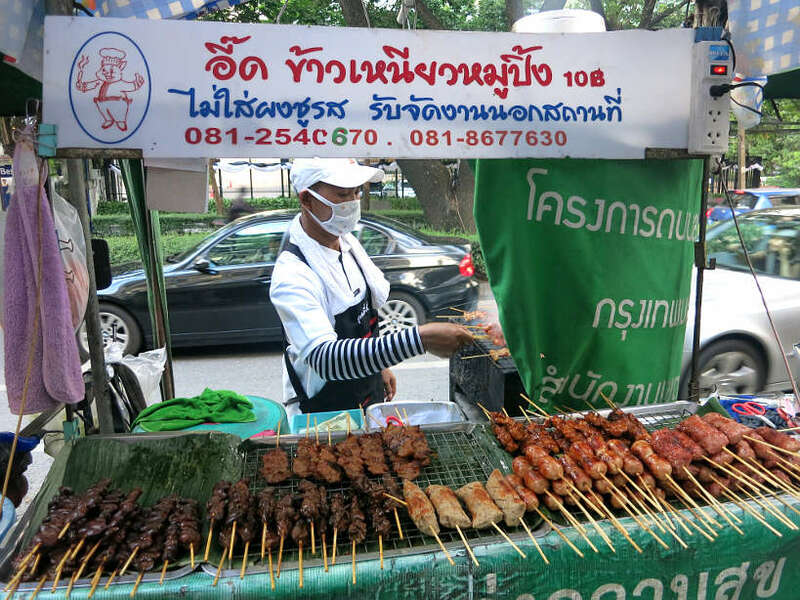 Don’t miss the lady selling skewers of pork, chicken, and liver… all delicious! You will find many local markets in Bangkok. Some markets are large weekend markets, while others are local to the neighborhood. One thing that you will notice is that markets are usually organized by section. You will find the fruits, then the vegetables, and then what they call the “wet market.” This is where you will find the fresh fish, meat, and poultry. Generally speaking, you will find the food vendors at the periphery of these markets. Like the street food vendors, the market vendors tend to specialize in one type of dish. Scoop around to find the dishes that you want to try. Proceed as mentioned in the street vendor section to make sure you eat the best. One famous food market is Bangkok’s Khlong Toei market, about a 10 mins walk from the Khlong Toei MRT station. Here we found one of the best sticky rice vendors in town. This vendor is located on the West side of the market, at the entrance of the market when coming from the MRT station. 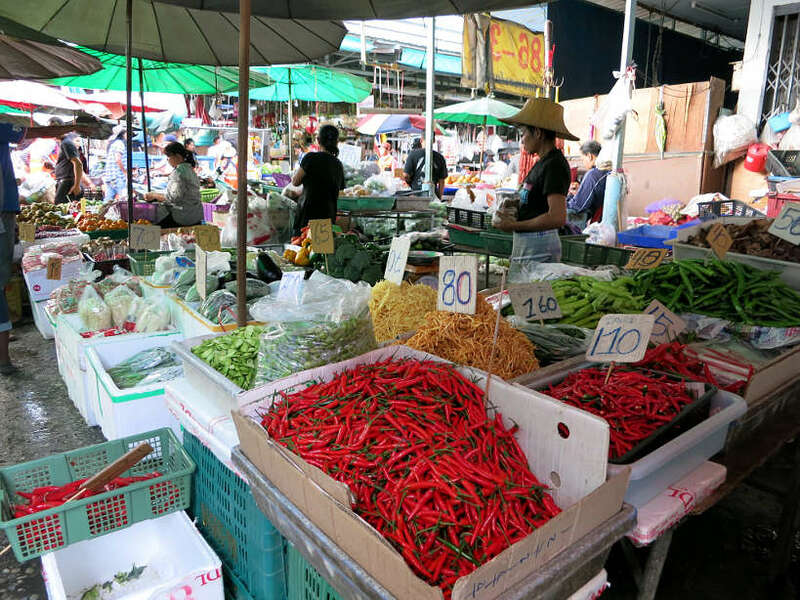 The Khlong Toei market is Bangkok’s biggest fresh market. You will find more meat, fish, and produce than food vendors. We will talk more about Bangkok food markets in an upcoming dedicated article. Our favorite was our local market in Sathorn. The market is a few blocks from Tops Supermarket on Yen Akat Road. The market is open on Monday’s, Wednesday’s and Friday’s from about 3:00 pm – 8:00 pm. We were never able to get the name of the market, but on Google Maps, it shows up as Marine Market. At this small and local market, you will find a small section of fruits, vegetables, meat, and fish. At the edge of the market, are vendors selling shoes, clothing, and toys. The food vendors make up for the majority of the market. And you can find anything you’re looking for in terms of Thai local food specialties. Look for the lady making papaya salads and the stall behind making curries. Delightful! Open on Monday, Wednesdays and Fridays from about 3 pm to 8 pm. A great place to have local and authentic food is to go to the local Universities or where Bangkok office workers eat during the week. You will find large parking lots transformed into street food cafeterias for lunch. Others may be permanent and dedicated cafeterias. One good example of a cafeteria is the one near Silom complex, not far Sala Daeng BTS Station. Alternatively, you can also eat at the cafeteria at the Bangkok Thammasat University near the Grand Palace. 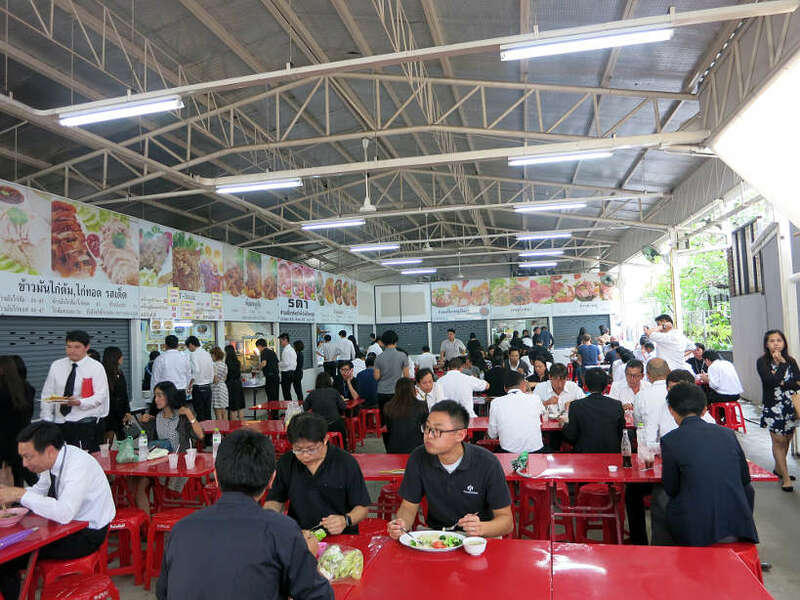 You also find cafeterias behind the Goethe Institute of Thailand or near the U.S. Embassy on Witthayu Road. These are only a few of what Bangkok has to offer. Look for places where there are a lot of office workers and you will find your way to these cafeterias. It is difficult to highlight just one place that we enjoyed the most. Primarily because we tried to hit several places and try different dishes. Nevertheless, we found the cafeteria across from the Goethe Institute a charming place. One thing to keep in mind when you go to the cafeterias are the hours. Go early and you’ll find the most options. Go late and you will have what is left though the ambiance will be a bit more chilled. Close to Soi Sathon 1, Lane 2, Sathorn, Bangkok. 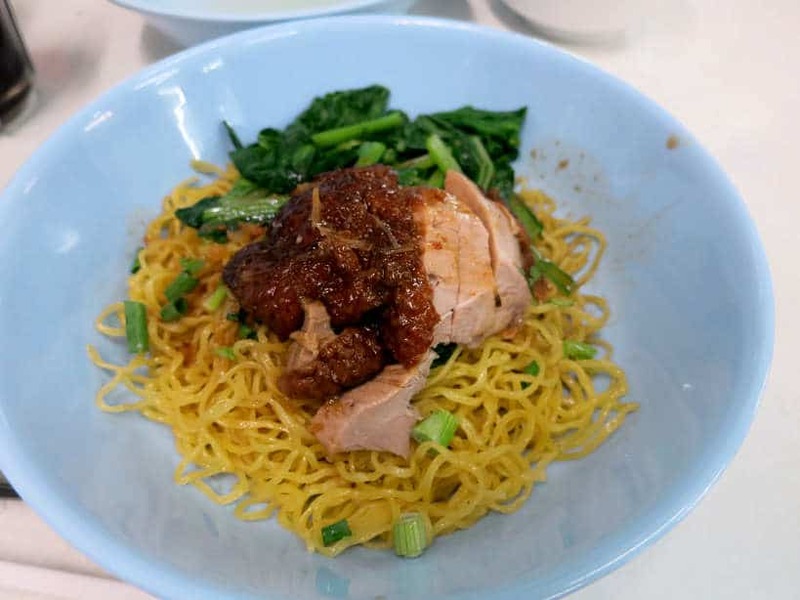 When you are in a city like Bangkok where the street food is delicious and cheap, it is hard to justify going to a restaurant to pay the high prices for something you can easily find on the streets. So why would you want to go to the restaurants in Bangkok? Well, for starters, the “high-end” restaurants will have air conditioning. And it can be very hot in Bangkok. So a break from the heat can be a nice relief. Also, you will find restaurants that offer dedicated specialties. Many times these restaurants started on the streets with a street cart. With success and popularity, they were able to open a restaurant and continue to serve the traditional meal in a “proper” environment. You might pay more for the same meal than in the street, but at least you know what you are getting. Another reason to go to a restaurant is after you have just arrived. 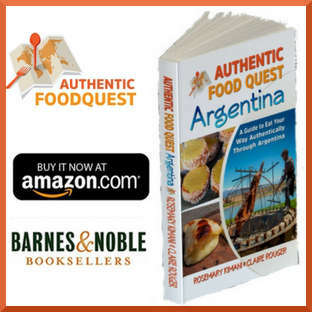 In our article, How To Enjoy Great Authentic Food On Your Travels, we recommend taking it easy and starting on the safe side, as you adjust to your new environment. 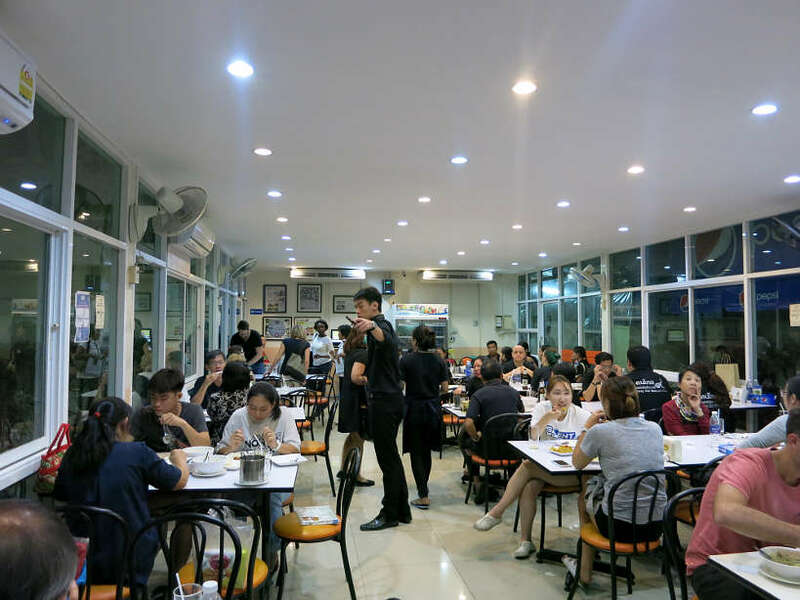 One of the particularities of the Bangkok restaurant scene is the “ShopHouse Restaurants.” This is basically a room on the first floor of a home, that is dedicated to receiving and serving customers. It is almost like eating in someone’s home. The kitchen is either a food cart on the street or a small kitchen in the corner of the room. Again most of these “restaurants” will have one dedicated dish to offer. To eat like a local, we recommend these types of restaurants for the most part. We tend to avoid restaurants that have English translations, menus that are multiple pages long, or menus with Western foods and no specialties. 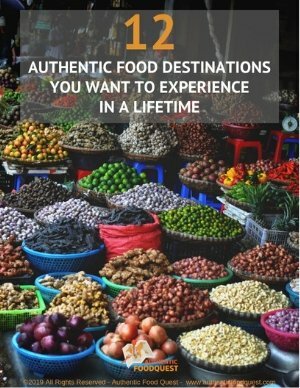 If your travels take you to Chiang Mai, Thailand’s largest northern city, let this list of 9 authentic Chiang Mai restaurants be your guide. Of course, you can enjoy high-end restaurants with some of them having a more Western flair. It is always nice to treat oneself to a great meal on your travels! One of our favorite Bangkok restaurants is Prachak Petyang. 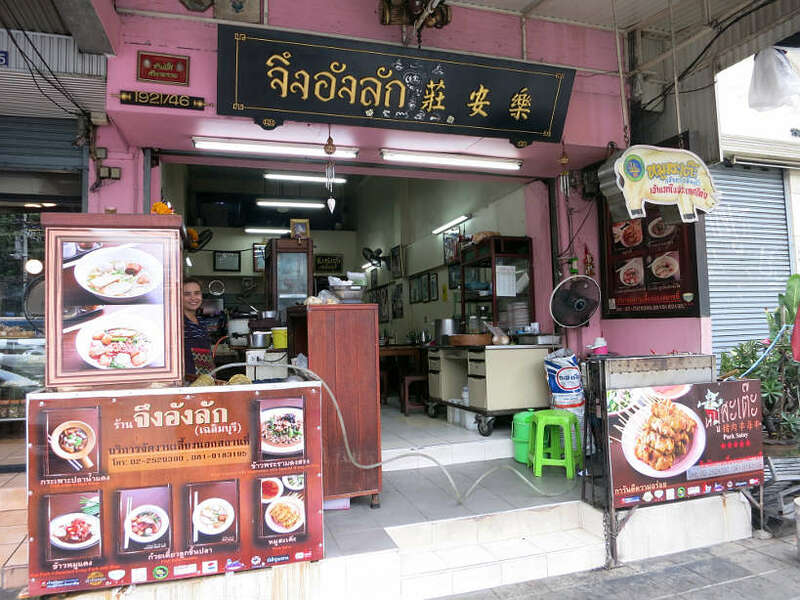 This restaurant in the Bang Rak neighborhood serves only their specialty. The family-owned restaurant has been around for more than 100 years serving this one dish: Roasted Duck with Egg Noodles. It is not a fancy restaurant but you come here for this single delicious dish. 1415 Charoen Krung Rd, Silom, Bangkok. When you don’t speak Thai, communicating can be difficult. Especially when it comes to ordering food. As mentioned above, many of the local shophouse restaurants or street food stalls focus on only ONE dish. This immediately makes things easier. In addition, many of the local joints have pictures on the wall, which also helps. If you ordering street food, you also have the benefit of seeing exactly what is cooking in front of you. While most vendors do not speak English, the one word they know is “pork.” You will easily be able to identify the fish, and after that, your options will most likely be pork (which is the most common) or chicken. If you are ordering a noodle dish, don’t be intimidated by the many different types of noodles you will see. Simply place your order and trust the cook to use the right noodles for your meal. Keep in mind, that most times no one will come and take your order. Be forceful and act like the locals who place their order before taking a seat. Many of the dishes you will find at street stalls or shop house restaurants are single dishes, which are complete meals by themselves. This could be a plate of stir-fried noodles such as Pad Thai or a plate of rice served with a variety of toppings. When eating at a cafeteria, you may be required to share a table. If so, don’t “force conversation” unless invited to. At restaurants, food will typically come family-style for everyone to share. The rice and other dishes are usually served in a big bowls and placed at the center of the table. Using your smaller individual plate, serve yourself and eat to your satisfaction. Do keep in mind that a pair of chopsticks and a spoon and fork are the traditional utensils. Rarely will you find a knife at the table. The question about the spice level of the food is probably on your mind. It certainly was on ours before we got to Bangkok. From our experience, we found the food to be more spicy than Thai food in the U.S. Some soups and curries tended to have chili peppers hidden within. Despite the spice, the food is still edible and tasty.. There is a wonderful balance of flavors between sweet, sour, spicy and salty. Many locals add more spices to their meals using various peppers and sauces that are found on each table. If you are concerned about the spice levels, knowing these two words in Thai will help: not spicy – Mai pet and very spicy – Pet maak! You will never go hungry in Thailand, and as mentioned previously, where there are people, there is always food. There are some dishes, like rice, that are eaten at all times of the day. You will see locals on their way to work huddled together at food stalls before 8:00 am eating breakfast. The breakfast meal might include rice, soups or soy milk based products. If you want to take advantage of the cafeterias where the office workers eat, go between 11:30 am and 1:00 pm. You will get the best variety and a buzzing atmosphere. To eat at the local markets, the best times to go are between 5:00 pm and 7:00 pm. The hours at the restaurants vary. Some of the restaurants that specialize on a specific dishes close early, while those that are geared towards Westerners close a little later. Be sure to check ahead of time. Restaurant busy at dinner time around 7pm. When eating at the local stalls or shophouse restaurants, be prepared with cash. Most of the local joints do not accept credit cards. If you can pay with smaller bills rather than large bills. At restaurants and especially higher-end restaurants, you will be able to pay via credit card. Just look for the Visa or Mastercard logo on the door or menu, and you will be all set. Tipping is not common and certainly not expected at streetside stalls and eateries. If you have a favorite vendor or you want to show appreciation for a dish, leaving even your small change will be appreciated. At restaurants, tipping is not mandatory but is appreciated. If you receive excellent service, by all means, feel free to tip about 5% to 10% of your bill. Some restaurants do automatically add a 10% service fee to your bill. This acts as a “sort of tip”. In these cases, you do not need to add any incremental amount. You will find bottled water at street stalls and restaurants alike. However, you can also drink the filtered plain water presented on the table. Usually, you will find a bucket of ice and a tray of cups to serve yourself. It is free of charge. Otherwise go for the bottled water. 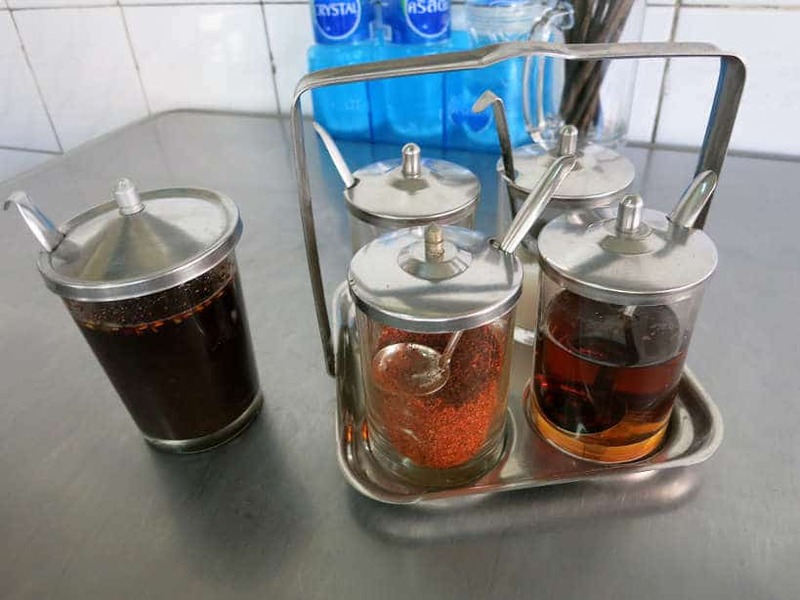 Thai Coffee and Thai Tea are popular accompaniments to the hot spicy dishes or simply a delicious treat on a hot day. 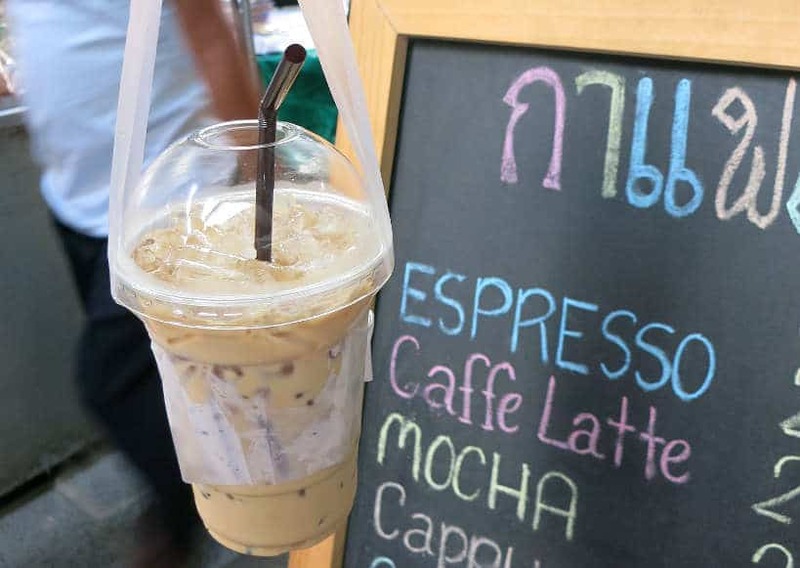 Unlike the coffee or tea, you will find in North America, the traditional recipes in Thailand call for the addition of sugar and condensed milk. While you can get either of the drinks hot, drinking them over ice is a refreshing and popular option. 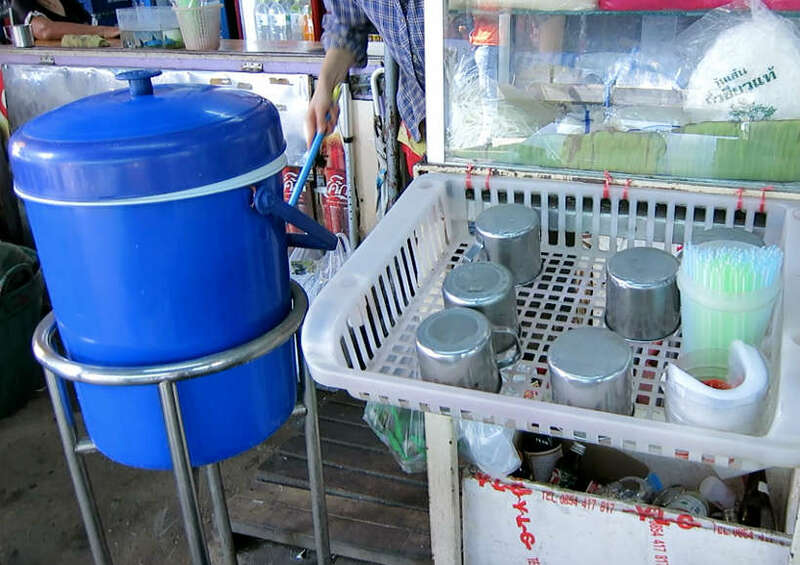 Many Thai’s take their iced coffee or tea to go. While I did enjoy the traditional iced Thai coffees and teas, I found them both way too sweet and more appropriate as an afternoon snack rather than a breakfast beverage. 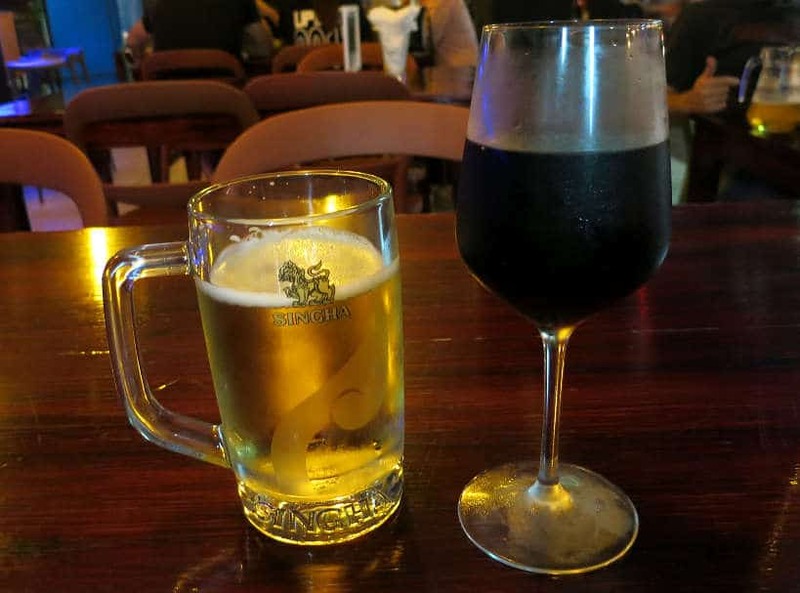 One of the most common drinks in Thailand is the beer. You will find Singha, Chang or Leo (by order of preference). All are Pale Lagers, which Claire did not find very flavorful. The Leo is known as the cheap beer, and there is nothing exciting about it. They are usually served in 500ml bottles. A bottle or can of beer will cost you between 50 and 80 Baht ($1.40 to $2.30 USD). You will find it easy to get tempted by the beers. To cool off from the Bangkok heat and spicy food. If you love to have wine with your dinner, then Thailand is not the place! Generally speaking the wine in Thailand is expensive and you can expect to pay double the prices you would pay in North America as the wine is imported. If you are eating like a local on the streets or at a shop house restaurant, do not expect to find wine on the menu. Once you move up to the “high-end” restaurants, wine makes an appearance on the menus. The selection of wines varies (Chilean, Australian, South African wines), as does the price points. With the heat, don’t be surprised to be served a glass of “refrigerated” red wine. With Bangkok’s reputation of having one of the best cuisines in the world, you must enjoy all the delicious food the city has to offer. Don’t be afraid to branch out and try Bangkok street food. Make it a point to eat new dishes in new venues. Eat on the streets, at the markets and the shophouse restaurants. If you cannot communicate, simply point. Let your nose guide and your eyes confirm the most interesting dishes to try. Take advantage of your time in Bangkok to eat like a local and eat where the locals eat. With the on-going efforts to clean up the streets, what is there today, may not be there tomorrow. 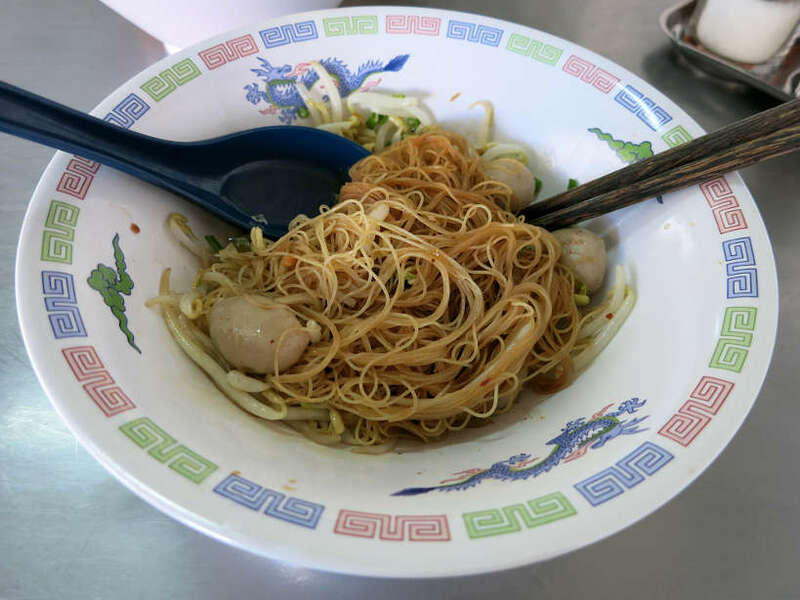 If your travels take you to the Chiang Mai in northern Thailand, see our article 15 of the best Chiang Mai food and where to eat them. Have you been to Bangkok? If so, share your favorite Bangkok food and local eating experience below. If not, tell us what has surprised you from this article. 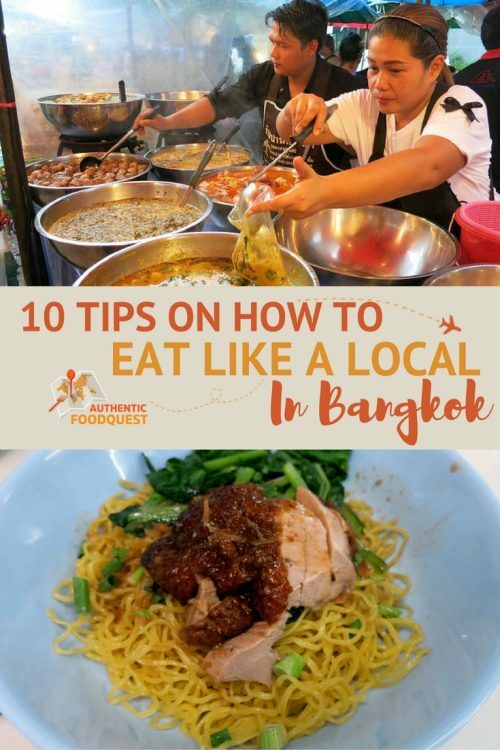 Such a well-written guide with great info about navigating the Bangkok food scene. I loved the food in Bangkok and all of Thailand. I actually was happy to do a food tour at the start of my trip. A guide can really show you where to find the best street food carts and the differences between regional dishes. As much as I know plastic is a problem in Asia, I’d always opt for the bottled water over the filtered water. I’d really rather play it safe. Thanks Jackie for your wonderful comments. Agree, navigating the Bangkok food scene can be quite intimidating and a little guidance can go a long way 🙂 We actually did try the water at the local places and we were safe. Though other times, we brought our own filtered water with us. Thanks again! So glad to hear you had a great time reading our article. 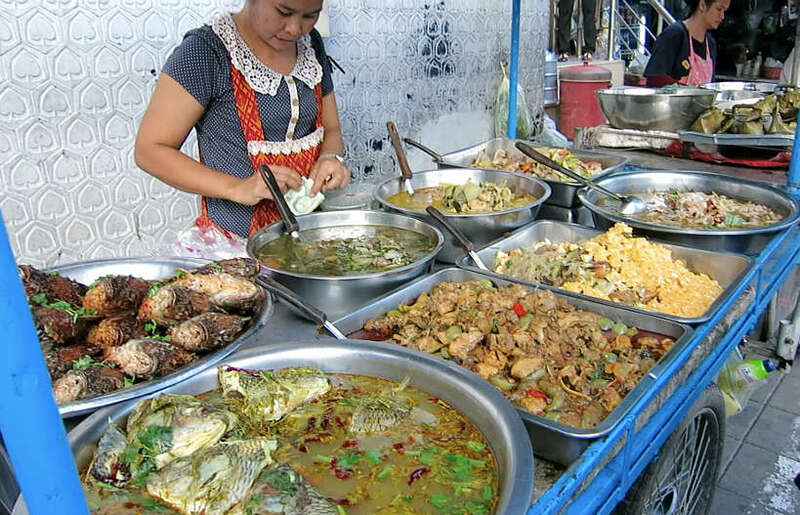 The food in Thailand and Bangkok specifically is a must…so tasty and delicious….yummmmmm! Food heaven, Would love the street food the most I think, but one of your favorites Prachak Petyang. would also top a list of yummy food for me, at least it looks delicious and would love to try. Yes, Bangkok is indeed food heaven!! When a restaurant like Prachak, specializes in one thing…what is there not to love. Hope you can get to Bangkok soon. Thanks for your comments. I lived in Bangkok for awhile and was surprised when I moved in and my apartment had no kitchen! Eating on the street is totally normal and DELICIOUS, I miss it all the time! You are right, it is so much more convenient to eat on the street….and everything is so delicious!! Thanks Annie for your comments. I am putting on my bucket list to travel to one city and send a day or 3 eating with you gals, seriously, this is happening. I loved being able to enjoy every one of these feasts vicariously through you, especially as I am currently unable to get my hands on much decent food. We would love to have you join us Anna!! It would be a fun time of delicious eats. 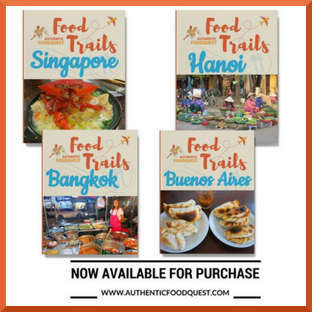 Keep following the quest and we will be thinking of you as we eat our way around Southeast Asia. Cheers!! You are right Karla, the food in Bangkok is absolutely incredible. 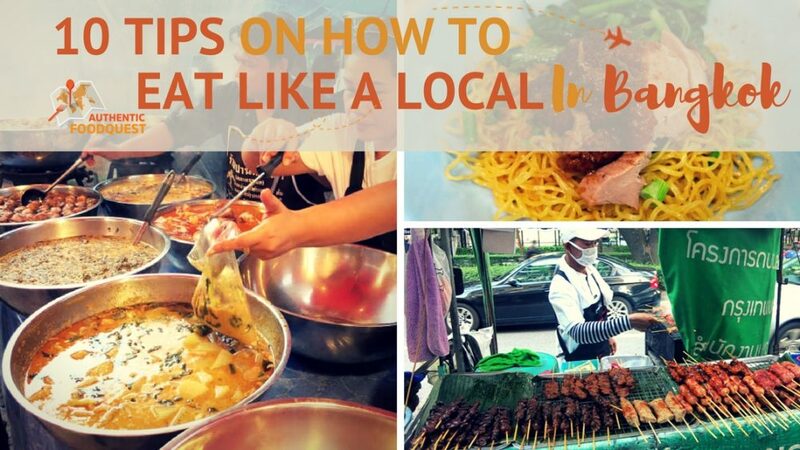 We put this guide together to help visitors go deeper with food and have a local experience. Thanks for your comments! That’s too bad that you suffered from the spicy food in Thailand. It is indeed more spicy than what we find in the U.S. Thanks for the tip about the Thai herbal drink. We will have to check it out!! Thanks for your comments and hope you were able to enjoy your visit to Bangkok. Cheers! Awesome! This is a perfect ood guide to Bangkok. I remember the time we were in Bangkok during Chinese Vegetarian food festival for nine days that coincides with the Indian festival of “Navratri”. We had an assortment of vegetarian food from their street stalls. Thank you Nisha for your comments. So glad you enjoyed the food guide 🙂 You must have had a wonderful time being in Bangkok for the Chinese Vegetarian food festival, we missed it only by a couple of weeks. Yes, the food from the street vendors is all delicious. Thanks for your comments. What a wonderful post. I’m really looking forward to a trip to Bangkok, so this article had me really excited. I love Thai food and cannot wait to try something a little more authentic than what we get here in the States. It’s great to know a little bit about picking the best street food vendors, and where to find the best food. What were some of your favorite dishes? That’s wonderful Danielle, when are you visiting Bangkok. Please do refer to this post as the food scene can be quite overwhelming at first. In terms fo the food we loved, there is so much to choose from. From Central Thailand, including Bangkok, we loved the curries, especially the yellow curry. Another favorite was the noodle stir fry – the Pad See Ew Gail. From the North, we absolutely loved the lemongrass and papaya salads. Don’t forget to try the sweets, especially the mango sticky rice 🙂 Have fun and don’t hesitate to reach out with any questions. Cheers. No one can say that you guys are not authentic. I love your food posts. The street vendors look so delicious and the restaurants are so, well authentic. This is a super list. I will keep fir the day I visit Bangkok. Thanks Christopher for your feedback and comments. It’s really great to hear you love the authenticity in our food posts 🙂 Yes, please pin or keep the list handy and please don’t hesitate to reach out with any questions as you get ready for your trip to Bangkok. Thanks for stopping by! Great post about food in Bangkok with very helpful information. During 2 short stops in Bangkok I was invited by local friends in a special restaurant. I liked it but I can’t tell the price level, probably it is significant over street food level. You buy your fish in the supermarket-style market, pay – and let the kitchen prepare the meal. This is amazing Manfred!. Thank you so much for sharing the restaurant recommendation. We will absolutely check it out when we are in Bangkok next. Love their tagline, by the way! You are right, going with locals to their favorite spots is always the best. Glad you found the post helpful. Have you tried eating at a market in Bangkok? If you haven’t, give it chance for a really fun experience. Appreciate your feedback and recommendation. Thank you!!! Great pictures and suggestions. I love street food and always look for the popular spots where families eat – they’re so far the best judge on value and freshness. That Singha and wine sound perfect too for a hot Bangkok night. Thanks Elaine and so glad you enjoyed the post and suggestions. Street food, especially in Bangkok should absolutely be enjoyed!! Cheers! I love eating Thai food at home and hope to travel to Thailand in the next year or so. Thanks for the excellent overview – especially the part about the Thai words for not spicy! I don’t mind moderately spicy food but the unpredictability of how spicy different people want to make something can be a bit of a turn off when my food comes to the table too spicy for me to enjoy. You are so welcome Taryn. You will enjoy your experience in Bangkok and all the various local food options. Do let us know if you have any questions about the food and local dishes. Cheers!! Oh my yum this made me so hungry. I love Thai food! Glad you enjoyed the post Nicole. I love local food markets when I go on holiday. You really get to see what the locals eat and you normally get a good price as well. Thanks for your suggestions! 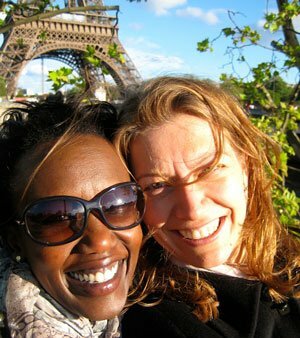 Wonderful Eniko, glad you also enjoy finding and eating the local foods on your travels. It really is the best way to travel deeper. Glad you liked the article. So great to hear Jay, so glad you enjoyed the article and your experience in Bangkok. The food scene is totally amazing and delicious. Getting to “live like a local” and visit the markets is truly one of the simple joys of traveling. Really appreciate your comments. Cheers. Thanks for this! I have a problem with getting nervous about eating alone when I travel solo, so I end up in chains more often than I would like. So, this is great advice. I also think it is great that you talk about tipping, because that can get confusing in other countries. Eating solo when traveling can be a little intimidating. However, that does not mean eating at the chain restaurants. Cozy up at a table with locals and strike up a conversation. We’ve found the locals to be very friendly. Please let us know how it goes for you on your next travels. Thanks Aiereona. I too felt overwhelmed with all the street cart and street food on the side of the road. Too many different smells makes me naucious but also hungry! It was difficult to select one. I wish I had some of your tips back then. Eating at the market is always a good idea! It doesn’t get fresher than that! Yes, it can be intimating knowing where to eat when you have so many delicious options to choose from. Always go for the busiest stalls and look for hot and prepared meals. If you see the elderly or children eating there, you will probably be safe. Thanks Naomi for your comments. This is WONDERFULLY comprehensive! Sometimes the biggest barrier to experiencing local food is just “not knowing how.” That first image of the street food vendor is so important- because it may not be the mental image of “street vendor” of someone who has never been to Asia (I always imagined little carts, so I would blow past all the good places since I had no idea what I was looking for). Also, the open meal hours is really helpful, too! It seems that each country and/or region follows different rules about meal times and restaurant operation hours. Great post!!! Thank you so much Katie. So glad you enjoyed the helpful tips in the post. 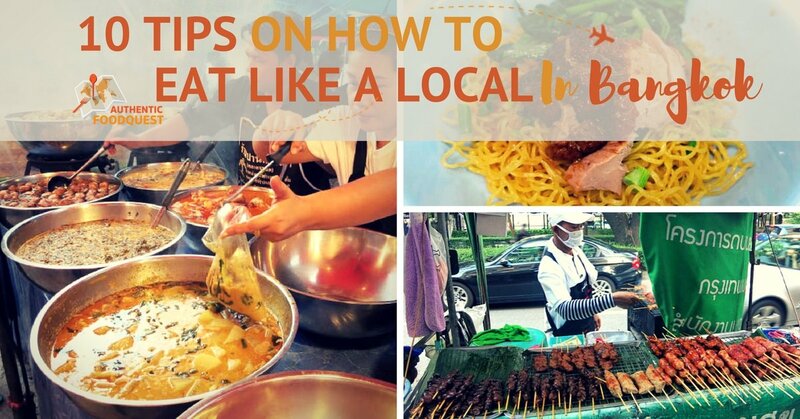 We hope it can help you and other travelers to Bangkok, enjoy delicious local foods 🙂 Appreciate your comments. Thanks. I was just thinking of flying to Bangkok and exploring beyond. Good to know what the city has to offer and I’ll be brave and attempt to try the different noodles. Thank you! When you make it to Bangkok, do check out some of these restaurants and stalls, and be prepared for an amazing and delicious time. Thanks for stopping by Karen. Thank you, Robyn and so glad you enjoyed reading the article. The street food in Bangkok is some of the best of the world. Hope you can make it to Bangkok soon! Cheers.